Bleed Radio Bleed is live in Philadelphia this Friday, March 25th at The Tritone with Hey Angel. You can’t really beat a $5 show (except with a $5 CD). Bleed Radio Bleed returns to New York City this Friday at The National Underground with their next Philadelphia show scheduled for March 25th (you’d think with the number of times I’ve typed and written that particular date over the years I wouldn’t have typed “35th” every time I tried to add it to this post) at The Tritone. Come out and show your support. Bleed Radio Bleed is kicking the year off with two shows in January – 1/14 in Philadelphia at The Legendary Dobbs (formerly The Pontiac Grill (formerly J.C. Dobbs)) on South Street and 1/20 in New York City at Arlene’s Grocery. *Arlene’s Grocery show rescheduled due to inclement weather. Note: BRB is opening the show so get there early. This is your chance to see them before your bedtime. Note: BRB is scheduled to play at their usual start time of midnight. 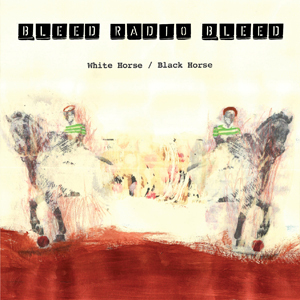 Bleed Radio Bleed‘s debut full length White Horse / Black Horse is now available in physical CD format through Interpunk.com. Just follow this link and it can be sent directly to your home or office. If you prefer the modern digital download approach, the album is available though the iTunes Music Store and wherever digital music is sold. Can’t make it to tonight’s record release show? The debut release from Bleed Radio Bleed, White Horse / Black Horse is now available through the iTunes Music Store and wherever digital music is served! If you’re looking for the album in CD format, it will be available from Interpunk beginning next week. You can also pick one up at the North Star Bar tonight for the first time in public (Take advantage of the $13 Live Performance Value Package (LPVP): $8 admission + $5 CD). Come out for the Bleed Radio Bleed record release show this Friday at the North Star Bar! We’ll have copies of their debut full-length, White Horse / Black Horse, and this will be your first chance to have it too. The debut full-length from Bleed Radio Bleed, White Horse / Black Horse, is in the final phase of production and will be available at the band’s record release show next Friday, October 8th. 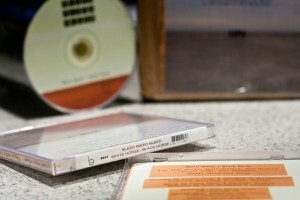 In the meantime, check out the free samples at Bleed Radio Bleed’s Facebook page. Here’s a first look at the album artwork and the details for the show. The Silence Kit are at it again this Saturday at Book Space as part of the Philadelphia Film and Music (F/M) Fest. Check out their latest album here. Last minute show announcement for tonight in New Jersey! A great way to get yourself ready for Bleed Radio Bleed‘s full length coming next month from Break Even. 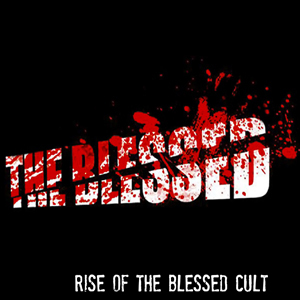 The latest release from Philadelphia’s The Blessed, Rise of the Blessed Cult is now available through the iTunes Music Store! If you’re looking for a more tangible investment, information on where to get the traditional CD version of the recording will be available soon. In the meantime, check out the free samples on iTunes and at The Blessed’s MySpace page.